This map depicts the west half of London in 1270. The River Fleet can be seen running west of the city wall until it eventually meets the Thames. 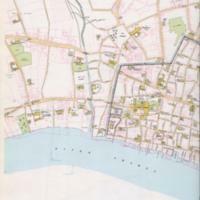 Fleet Bridge, Fleet Prison, and Fleet Street are also depicted on the map. Historic Towns Trust in Mary D. Lobel and W.H. Johns, eds., The City of London from Prehistoric Times to c. 1520, Volume III (Oxford: Oxford University Press, 1989). 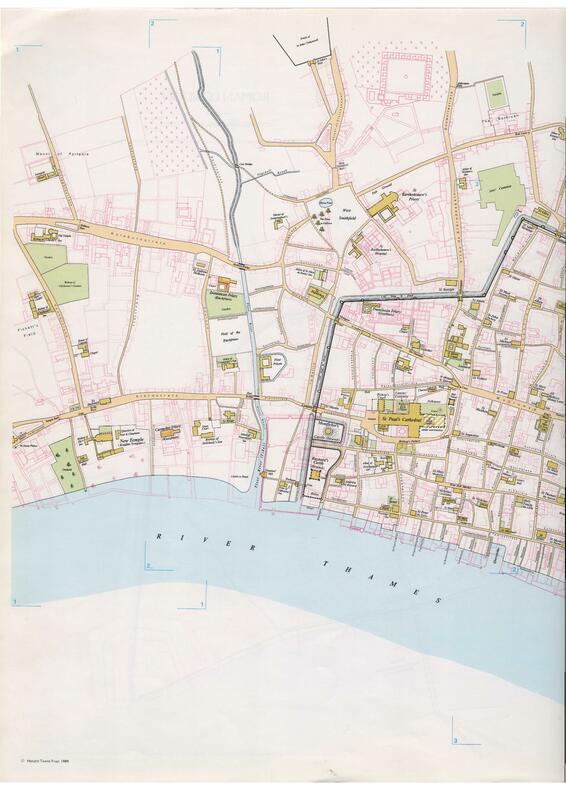 “River Fleet on London map c. 1270,” Medieval London, accessed April 22, 2019, http://medievallondon.ace.fordham.edu/items/show/186.